How to feel like a Rajput princess! Whether you’re getting your dance moves on at Zumba class, going for a run, or just hitting the weights in the gym – no matter the workout, sweaty, greasy hair is definitely a problem. Washing your hair everyday isn’t a practical solution, and leaving it sweaty leaves your hair dull and lifeless. To make things worse, it can make your scalp itchy, and eventually lead to dandruff. 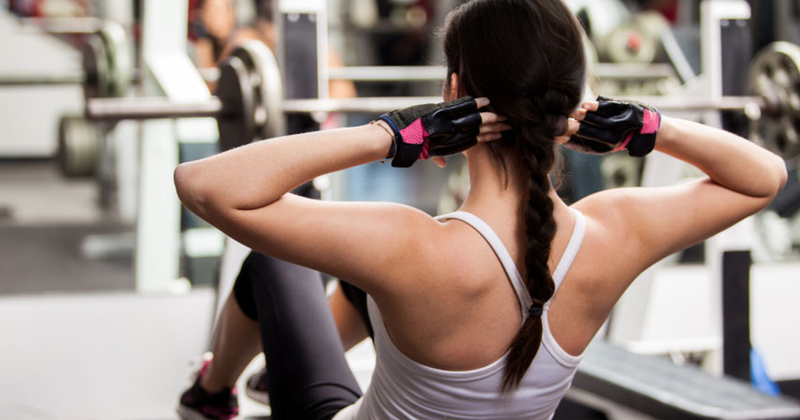 Most women have a go to look for their workout – a tight, high ponytail to keep the sweat away. Simple solution? Maybe not. A tight ponytail will create a crease in your hair, and could even cause breakage. Instead, try using a scrunchie, which is gentler on your hair. Stick to styles that are loose and still keep your hair off your face. A trendy fishtail braid, a plait, or even a sock bun will work perfectly. All that dirt, grease, and itchiness in your hair arises from your sweat. How do you solve this problem? Tie up those locks with a scarf or bandana. Even a headband will do the trick. This bit of cloth will not only absorb the sweat, but also keep your hair from falling on your face. Coconut oil is the best way to keep the sweat and dirt from clogging your follicles and harming your scalp. Massaging a bit into your scalp will not only stop the sweat from seeping into it, but will also protect it from bacterial and fungal infections. What’s more, your hair ends up getting its dose of conditioning while you work out. As you work out, your sweat is bound to drip all over the equipment, including your mat. Resting your hair on it directly will not do you any good. Use a towel as a cushion, and it will absorb the extra moisture from your hair. 5. Don’t overdo the shampoo! Most people can’t wait to wash the sweat out of their hair after an intense workout. However, this isn’t the wisest thing to do if you work out regularyl. Washing too often strips your hair of the natural moisture it has. In addition, shampoos contain surfactants that aren’t doing your hair any good. Make sure to wash your hair with shampoo not more than twice or thrice a week. On other days, simply rinse your hair with plain water and let it air dry. A dry shampoo or good ol’ talc could do the trick as well. Working out does wonders, and will definitely make you feel like a million bucks. And now you can do it without getting any hair in your eyes! When washing your hair every day is not an option, how do you keep your scalp clean? Contrary to popular opinion, a tight, high ponytail is not ideal while working out. Learn West Bengal’s beautiful version of the ‘top knot’. The North-Eastern tribal hairstyle you’ll love! Yes, your scalp is hungry for nutrients too! Here’s how you can feed it.